How Many Calories Can You Burn Through Stand-Up Paddle Boarding? Stand-up paddle boarding is a blast, but it’s more than just a fun recreational activity – it’s also a fantastic workout. If you’re planning to start incorporating stand-up paddle boarding into your fitness routine, the following will give you information on how many calories you can expect to burn. One thing to keep in mind is that the number of calories you burn depends on quite a few different factors. Your weight plays a part, but the most important considerations are the type of stand-up paddle boarding you’re doing and your intensity level. Obviously, the higher the intensity, the more calories you’ll burn. The weather conditions also factor in. If the wind is blowing hard, it’s going to be more difficult to balance on the paddle board, which means you’ll burn more calories than if it was a clear day. The following estimates are for an average-sized adult male who is paddle boarding for an hour, and we’ve separated them by activity type. This is the type of paddle boarding that most people do, and it’s when you paddle at a relaxed pace. For this type of paddle boarding, you’ll typically burn anywhere from 300 to 450 calories per hour. Another way to estimate your calories burned through this type of paddle boarding is to double the number of calories you would burn on a moderate walk at about 2.5 to 3 miles per hour. 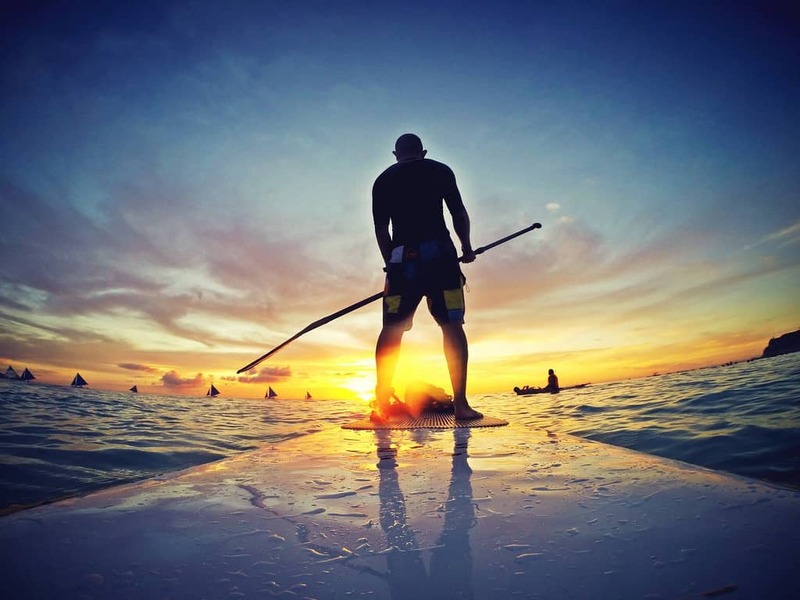 This type of paddle boarding involves long-distance paddling at a steady pace. With a normal speed being around 3 miles per hour. 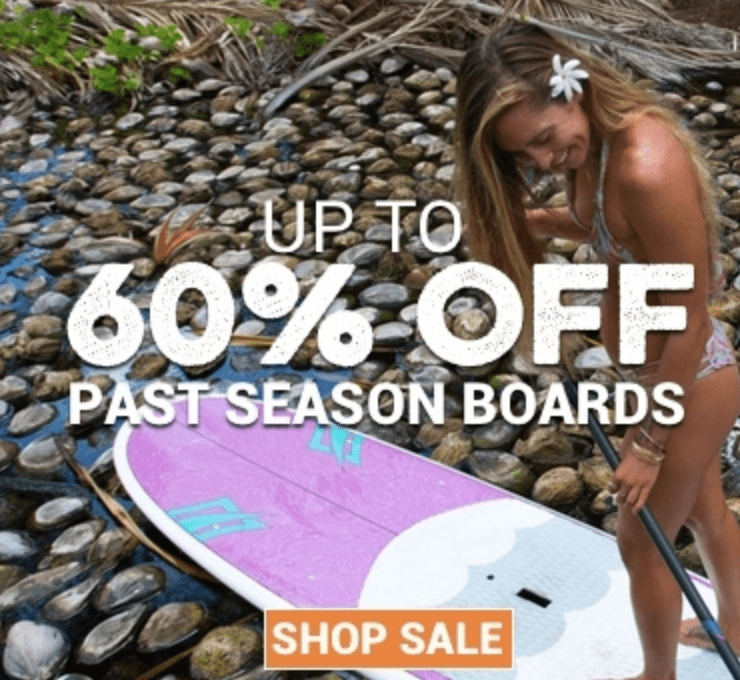 The intensity is higher than recreational paddle boarding, but what really makes tour paddle boarding good for burning calories is that you’re not stopping the entire time. Do this for an hour and you can expect to burn anywhere from 600 to 725 calories. When it comes to paddle boarding, racing is about as intense as it gets. There are plenty of paddle boarding challenges that involve paddle boarding for several miles as quickly as possible. In these races, a good paddle boarder can usually go five or sometimes even six miles within an hour. The number of calories you burn depends heavily on how much distance you can cover and how long you can perform at a high intensity, but with racing you could burn anywhere from 700 to over 1,100 calories. You can take your paddle board out on the waves for some surfing, and it’s a great idea to improve your conditioning and get better at the sport. 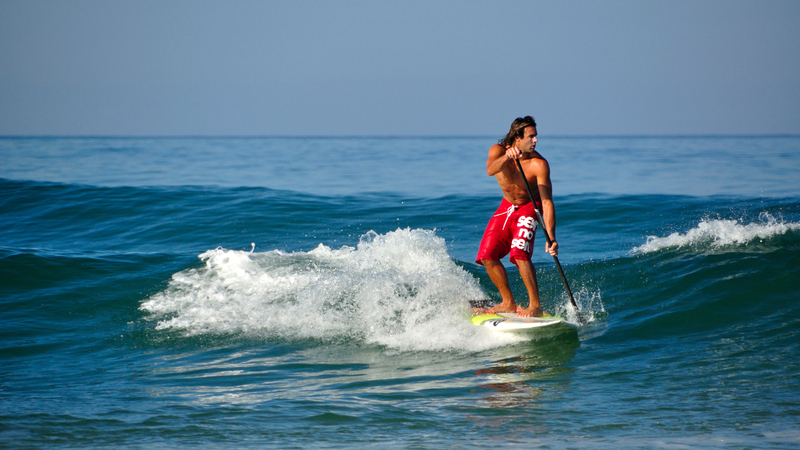 In fact, many surfers consider paddle boarding the best type of cross training to help with your surfing skills. A normal hour out on the waves will burn between 625 and 735 calories. Of course, when you’re surfing on a paddle board, the number of calories you burn depends on the conditions. Rougher waves means it’s going to be more difficult to balance and stay upright, which will lead to you burning more calories. When you paddle board, you’re working nearly every muscle in your body just to stay balanced on the board. You’ll work your core quite a bit, but your legs, arms, and back also work hard to keep you standing. Another benefit of paddle boarding is that it’s low impact, so you’re not putting nearly as much wear and tear on your joints as you would with weightlifting, running, or other more high-impact forms of exercise. How Does Paddle Boarding Stack Up Against Other Types of Exercise? Wondering if you’ll get a better workout on a paddle board or doing something else? Paddle boarding is one of the best choices if you want to burn calories, especially if you choose one of the more intense types of paddle boarding. With biking, you’ll burn about 500 calories in an hour, and with running you’ll burn between 600 and 700. A typical hour of regular surfing, without using a paddle board, will burn about 400 to 450 calories. Swimming for an hour will burn about 800 to 900 calories, which is comparable with high-intensity paddle boarding. You can get an excellent workout with a stand-up paddle board, and you won’t be damaging your body in the process. Paddle boarding is a worthy addition to any fitness routine, especially if you’re looking for a fun new exercise to shock your body. It works well to supplement your current workout program, or you can get into great shape with just paddle boarding. Give it a try and see what you think. Next to surfing, paddle boarding is one of the best ways to burn calories using a low impact exercise. You get many benefits as well as get to enjoy nature and the outdoors. There is a reason so many people are starting to paddle board.